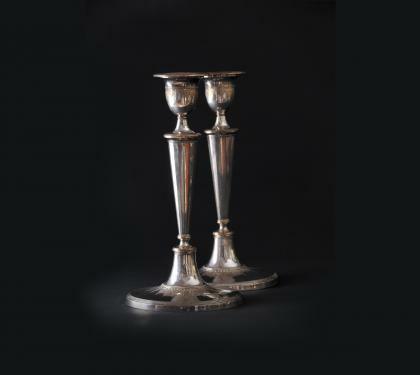 This elegant pair of candlesticks have urn-oval formed sconces with raised lines in a scalloped-reeded pattern. They have faceted stems on an oval base with the same pattern as the urns. Dimensions: Height 11.5" | Diameter 6.125"